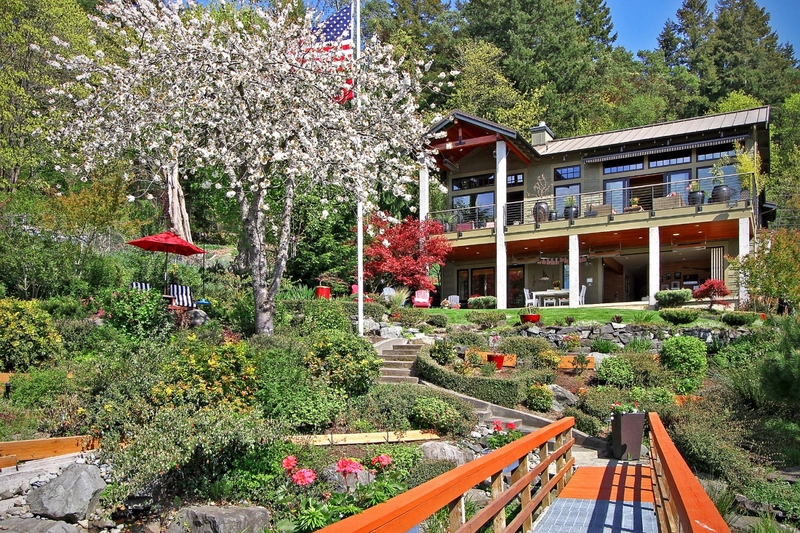 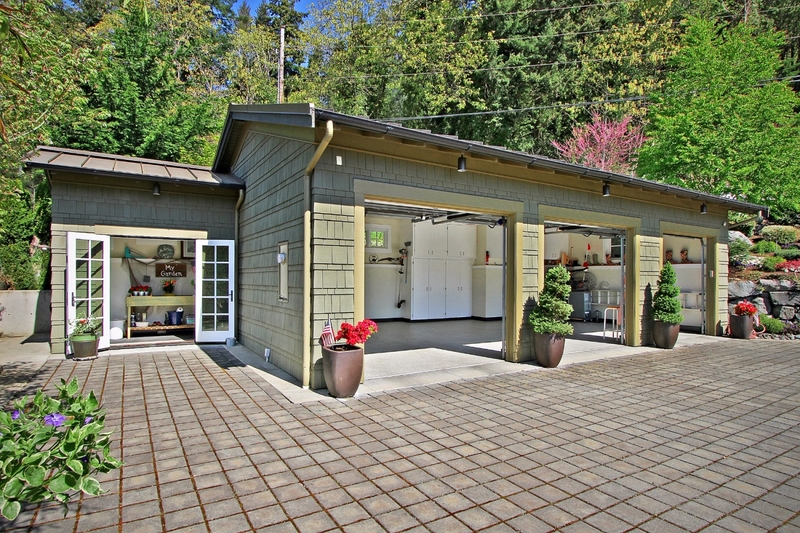 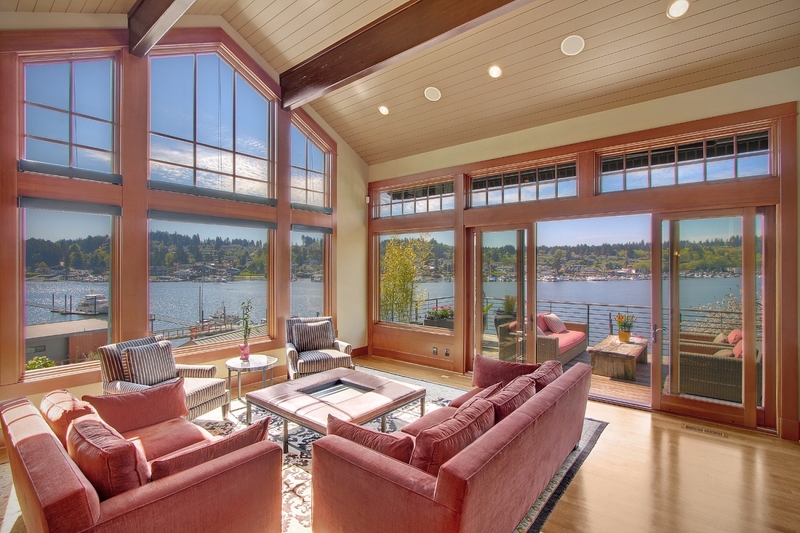 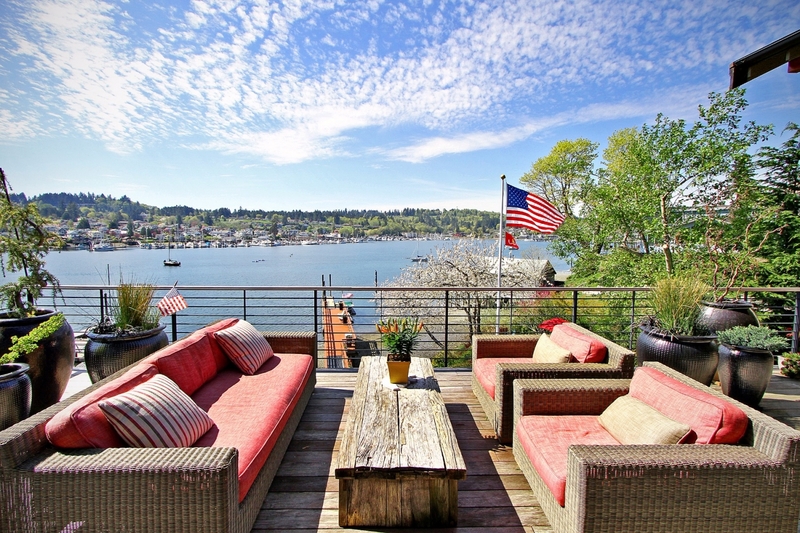 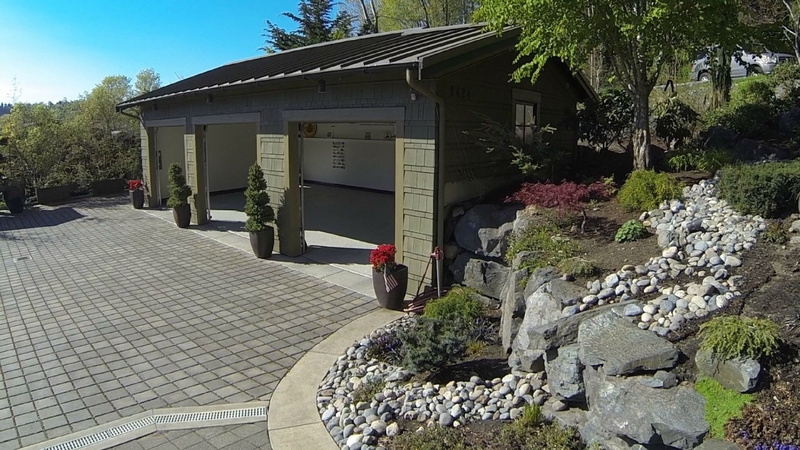 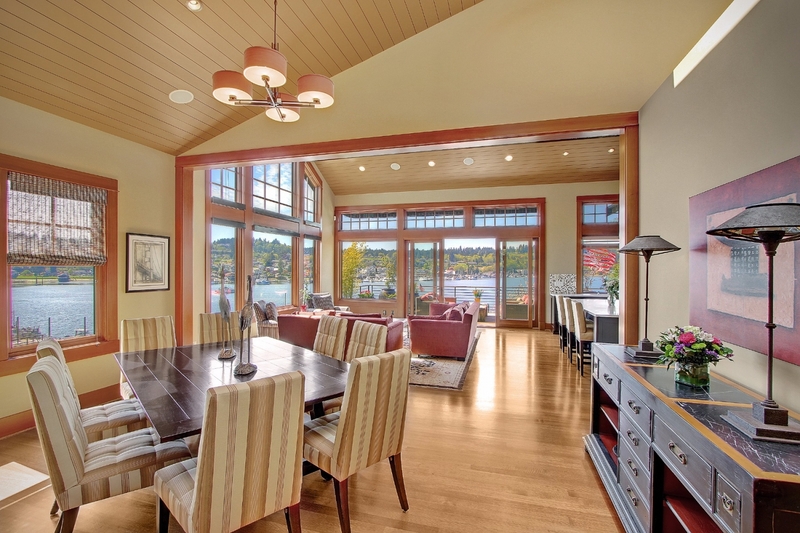 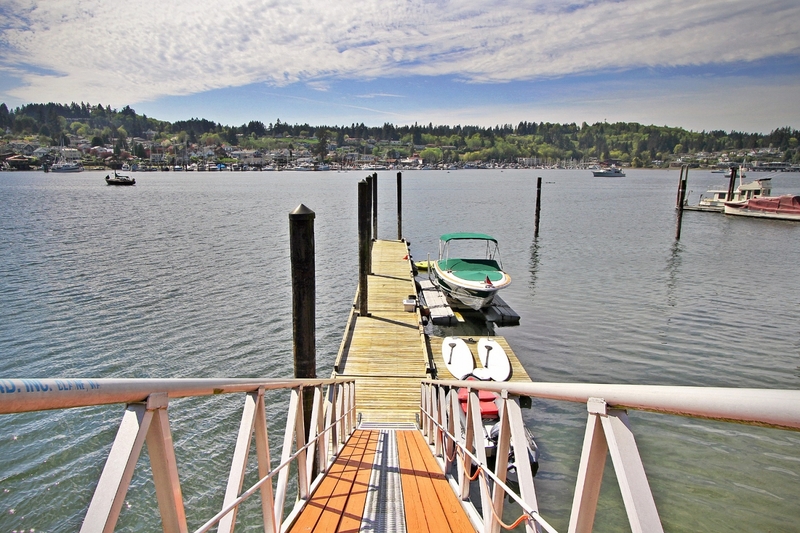 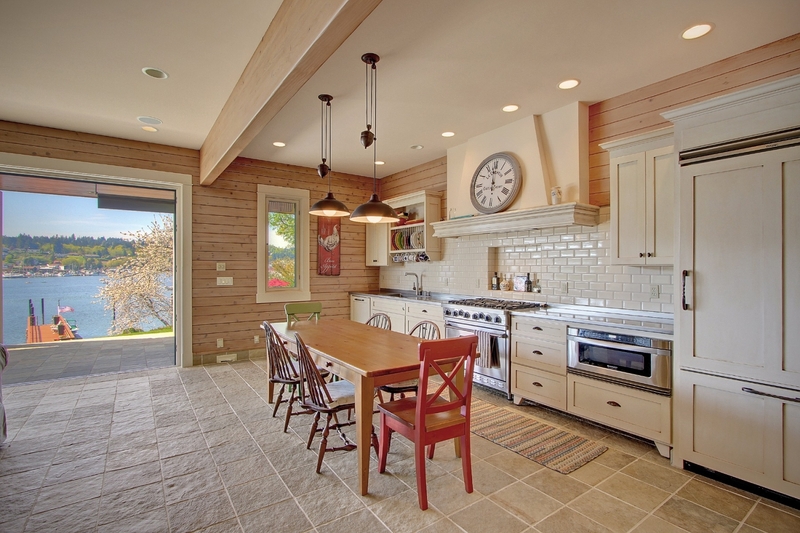 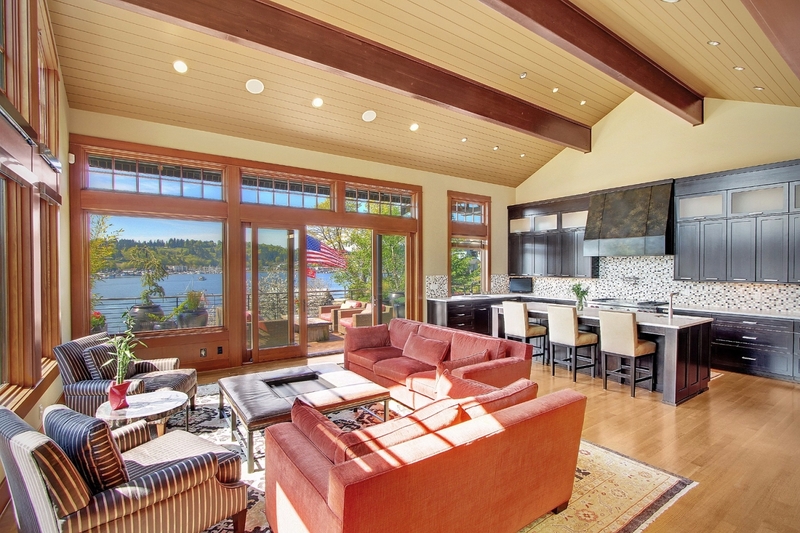 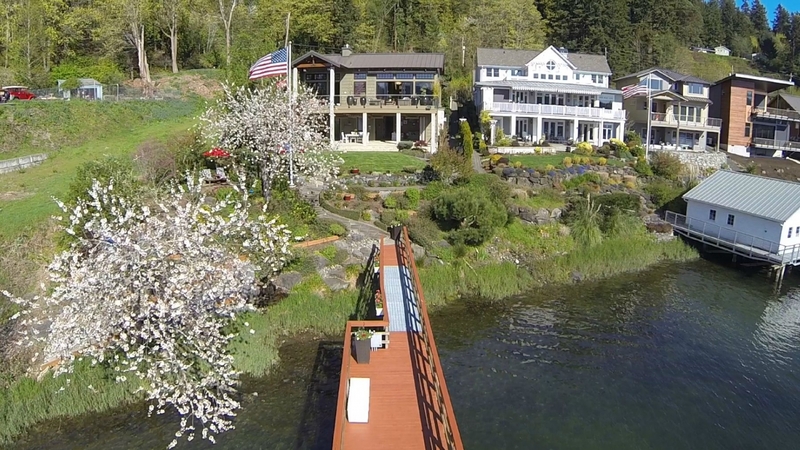 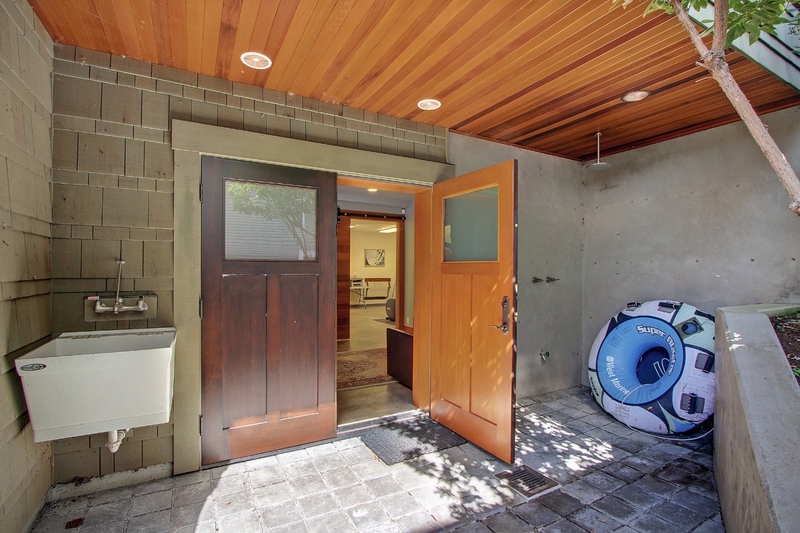 A newer home with deep water moorage that you never want to leave. 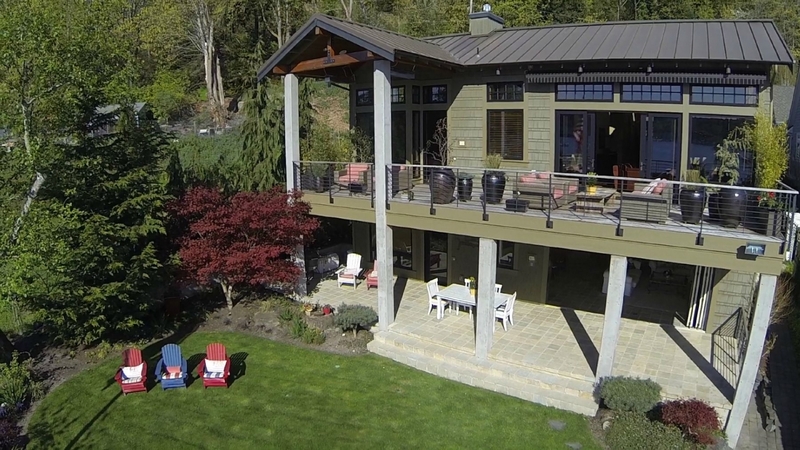 One of a kind unique design newer construction home with impeccable finishing and detail. 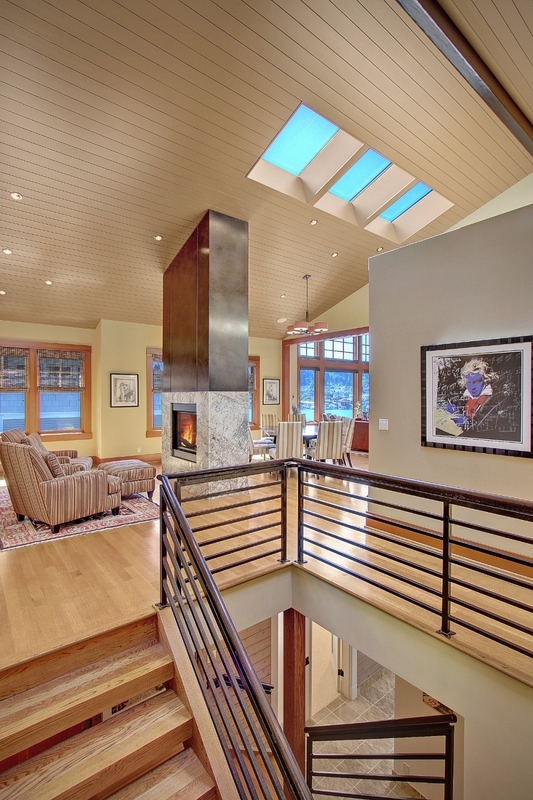 Main floor provides great room concept living with open and flowing floor plan. 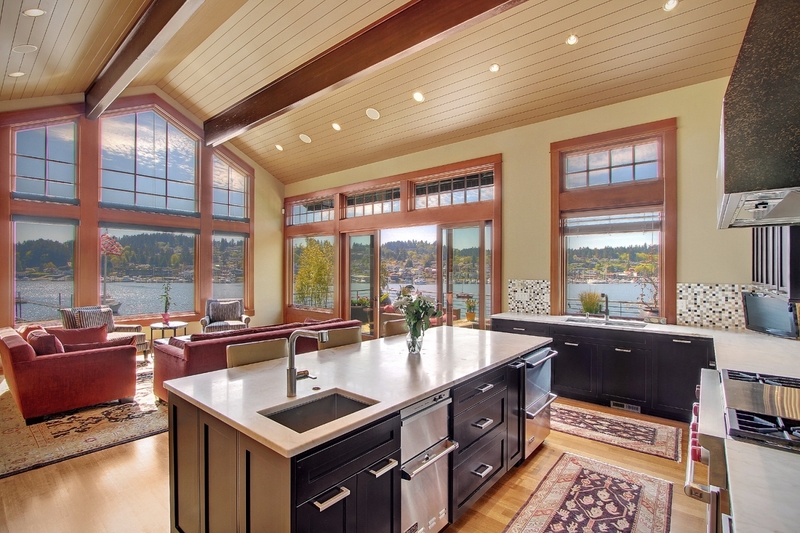 The kitchen overlooks a great room, dining and living area, in turn that all flow onto an outdoor deck through a wall of glass. 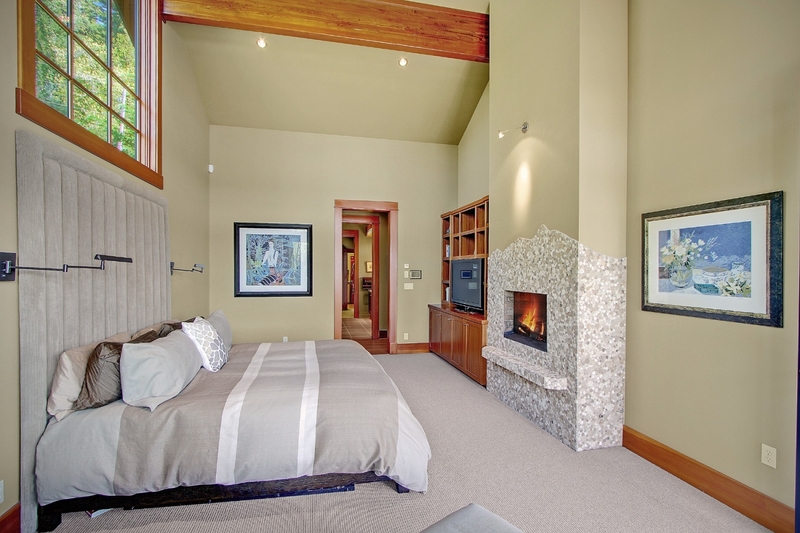 The master bedroom and an a second Jr. Suite all are located on the main floor, both with access to outdoor living spaces. 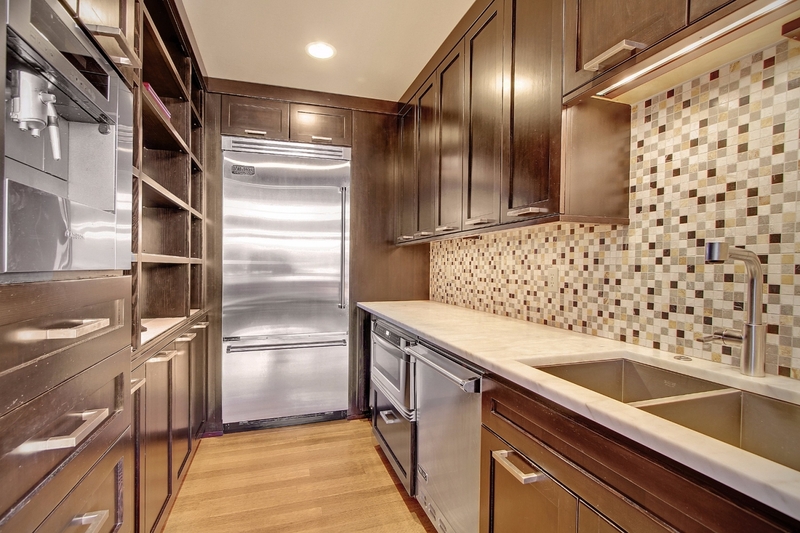 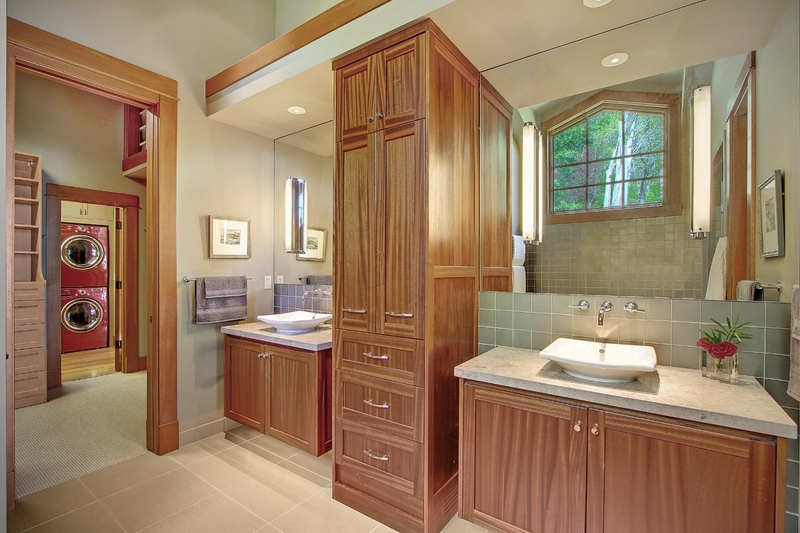 Discerning choices of tile and materials deliver the ultimate experience every day. 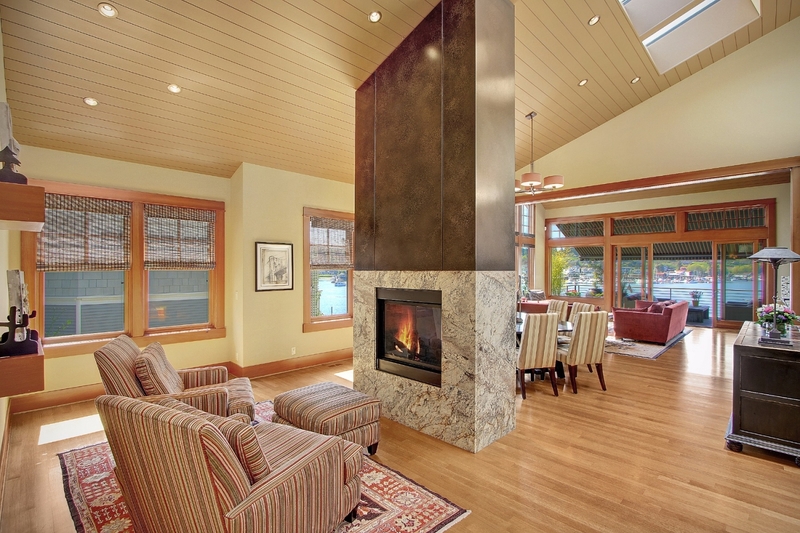 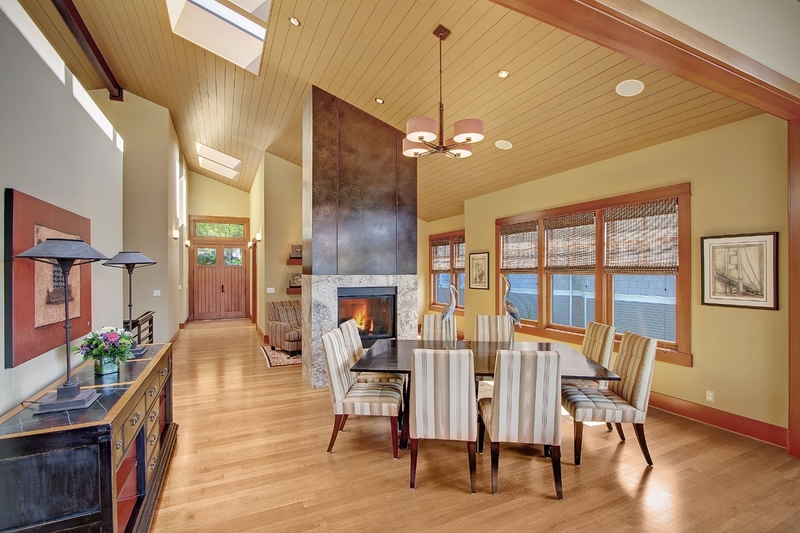 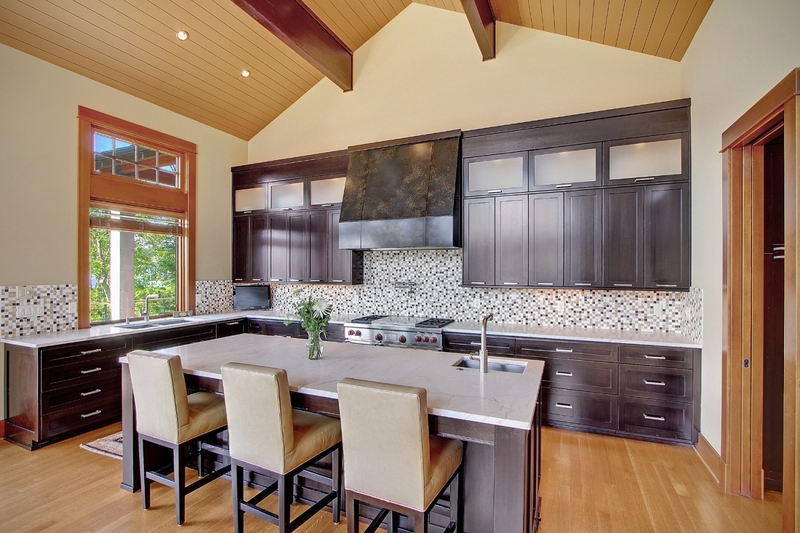 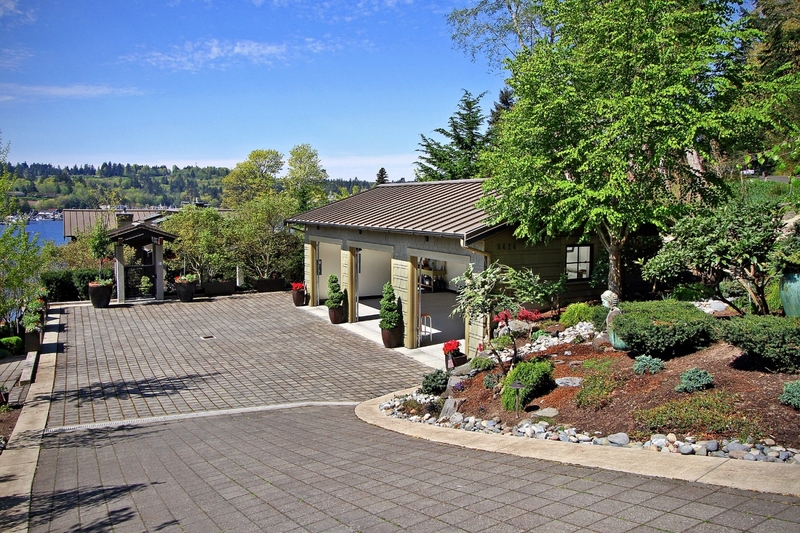 The master provides soaring and beamed ceilings, custom built ins and tiled gas fireplace. 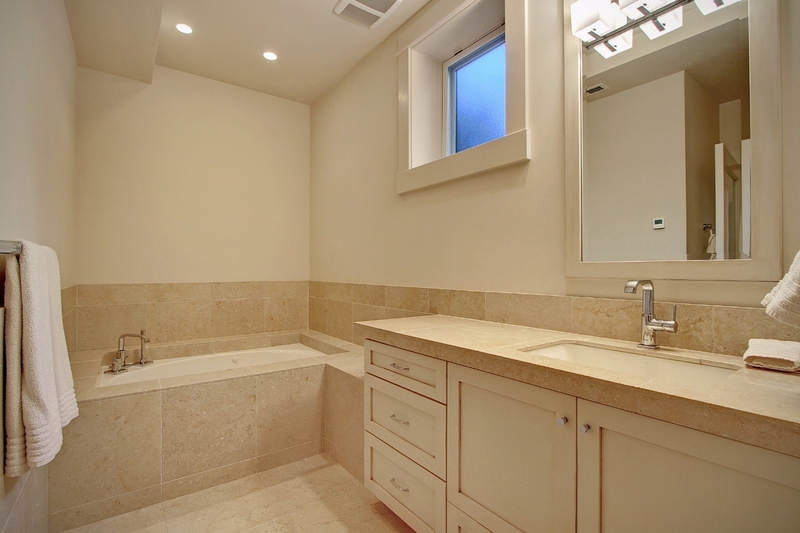 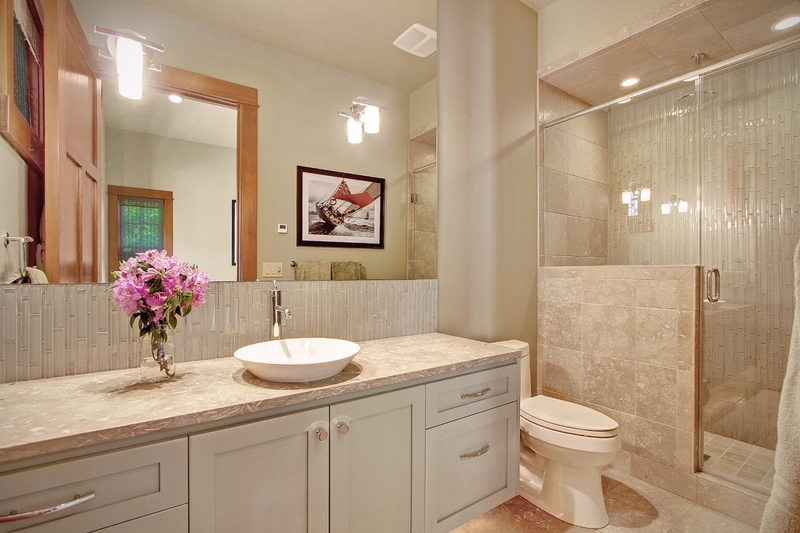 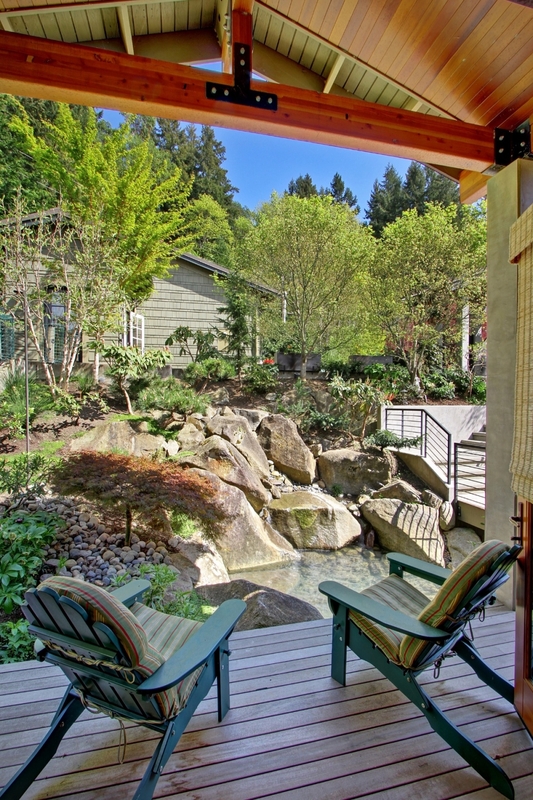 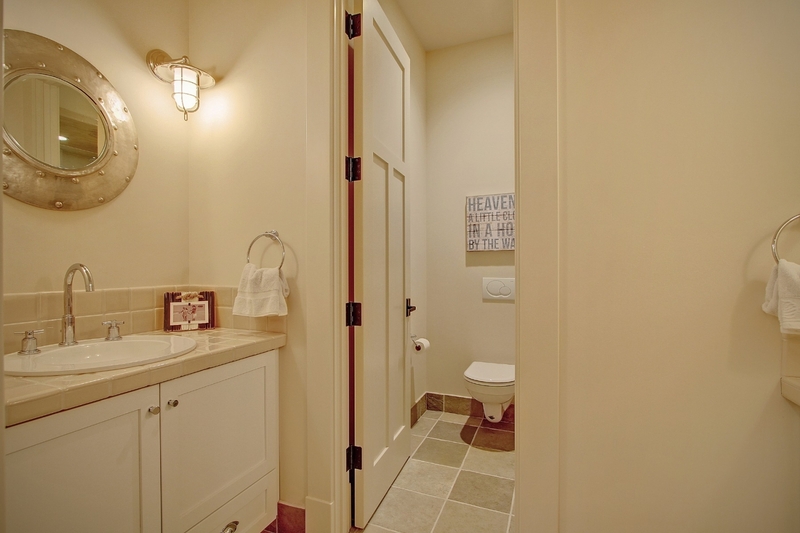 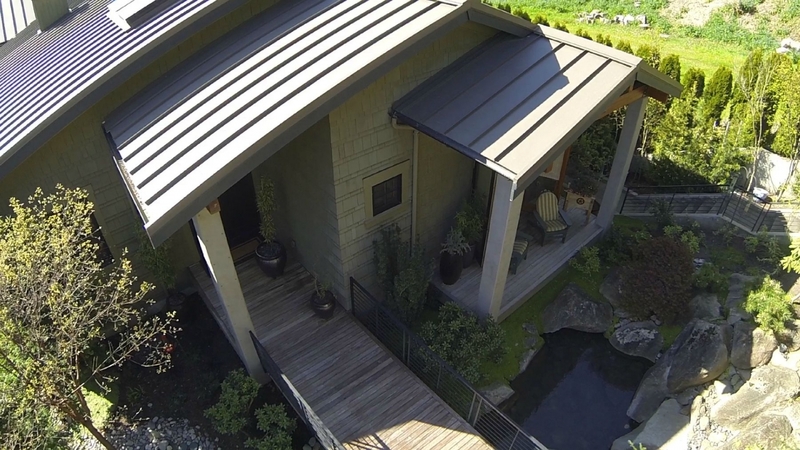 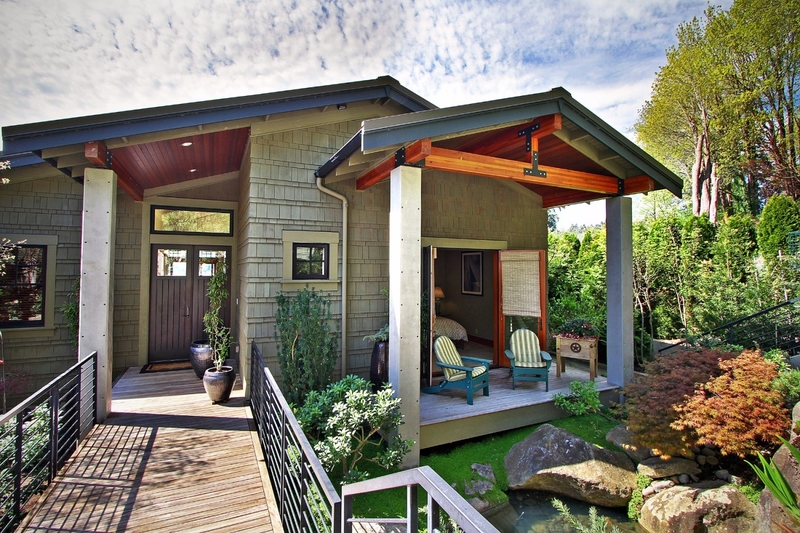 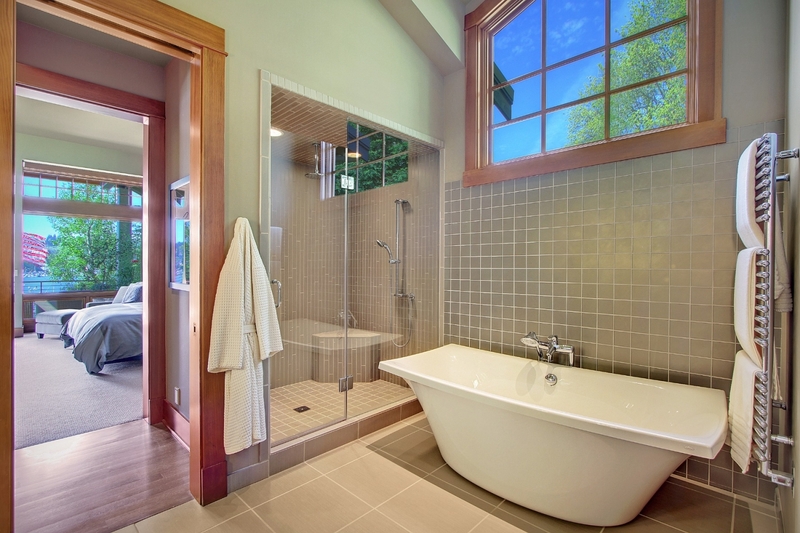 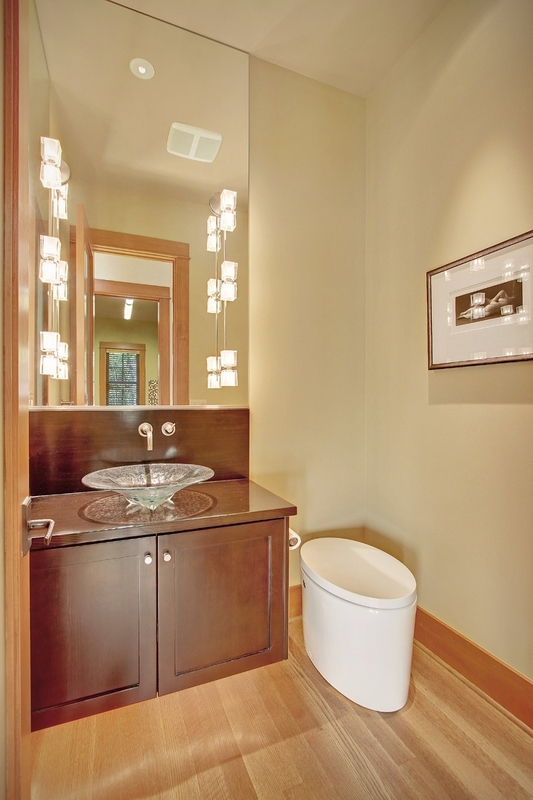 The Jr. Suite provides a custom tiled en suite bath, and French doors to a deck and soothing water feature. 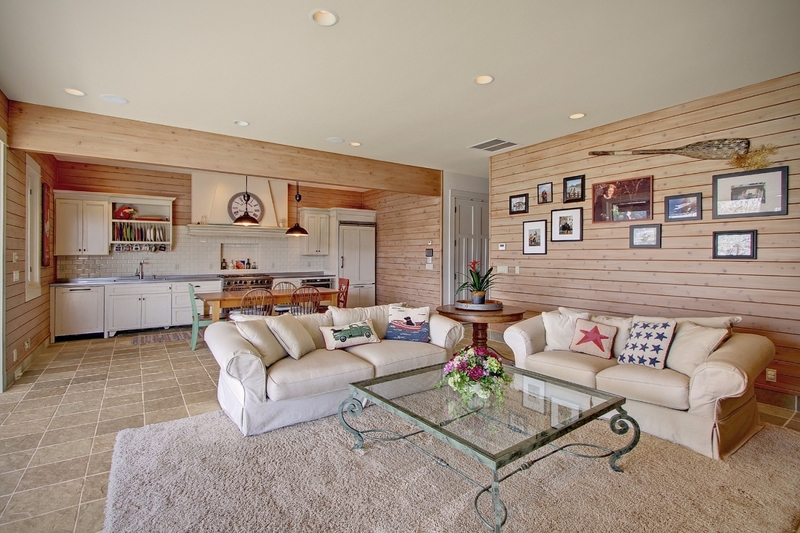 The lower level feels like a true get away home. 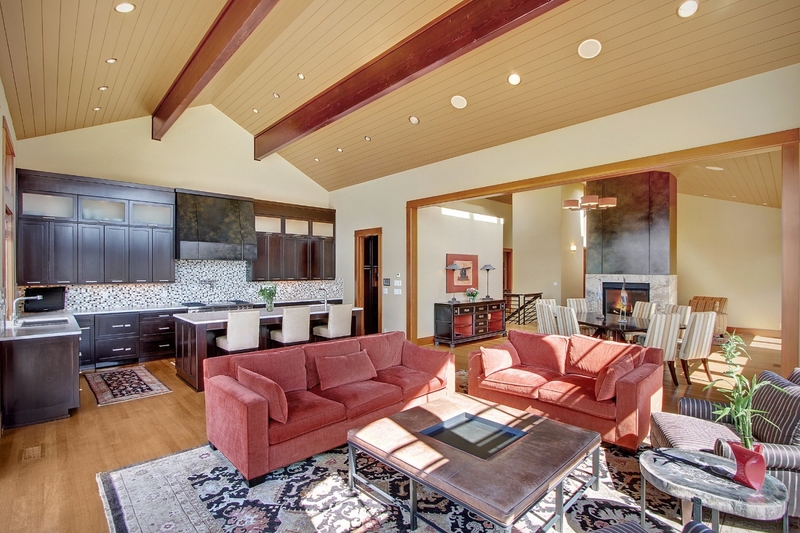 Complete with stone flooring and open concept kitchen and second family room. 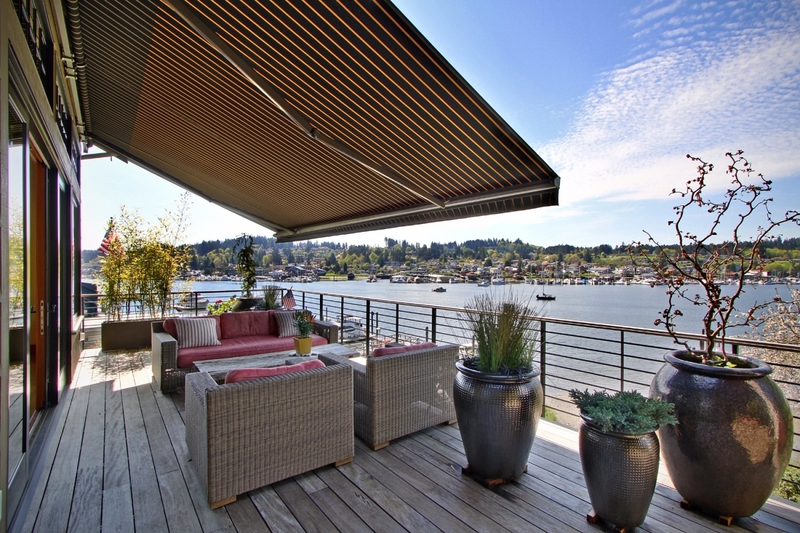 The folding glass wall adds additional entertaining areas, perfect for year round use with over head heaters. 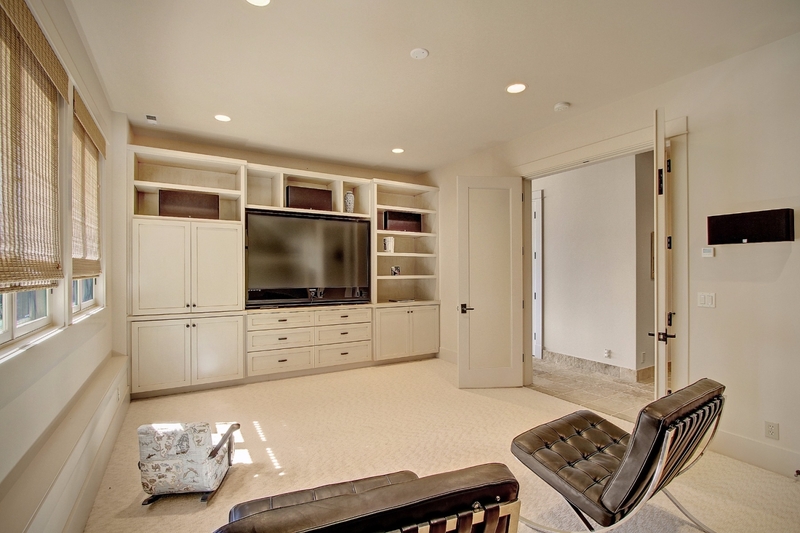 Also in the lower level you will find two more bedrooms an even a flex media room that doubles as a "bunk" room. 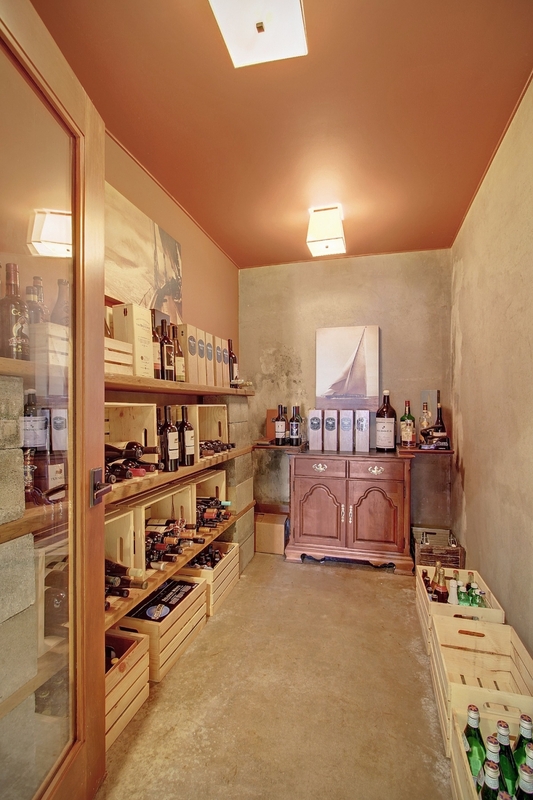 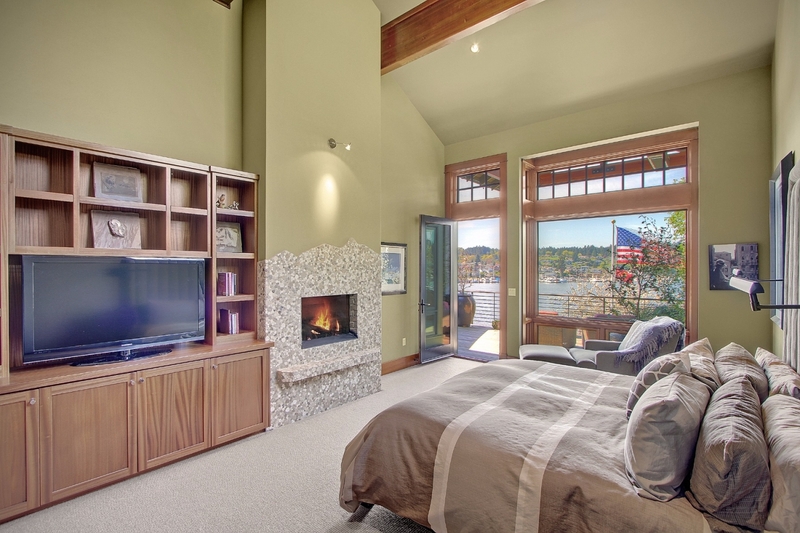 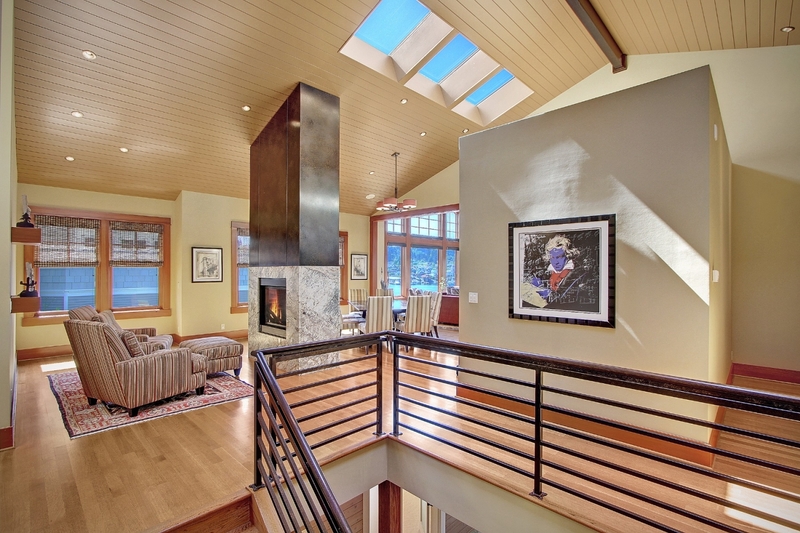 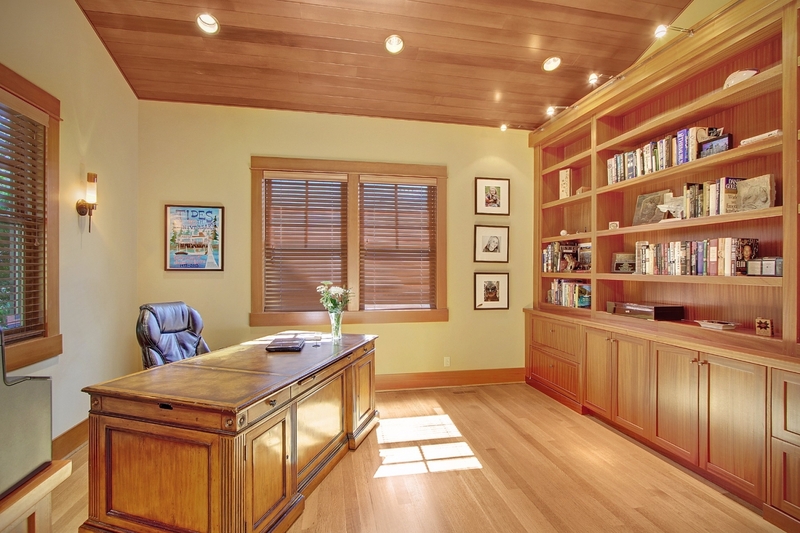 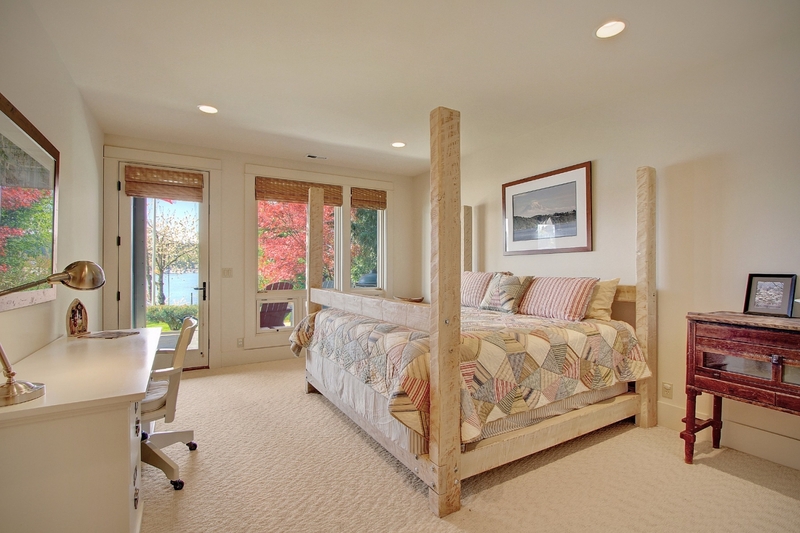 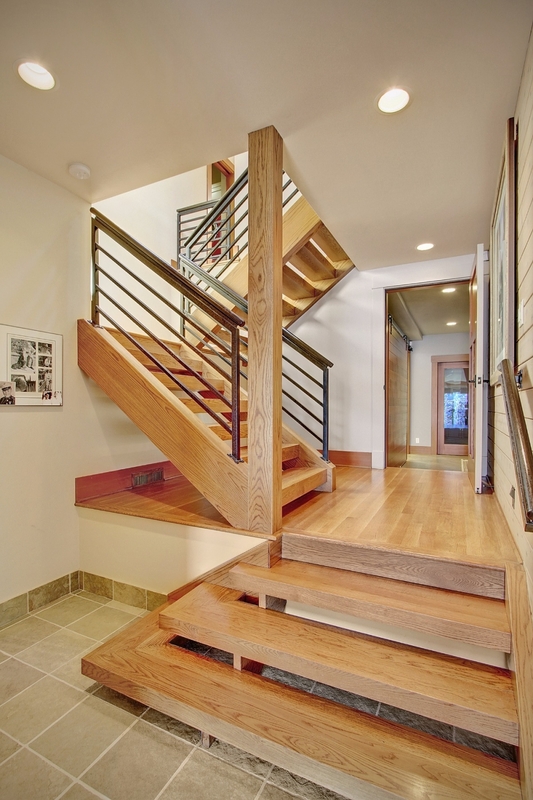 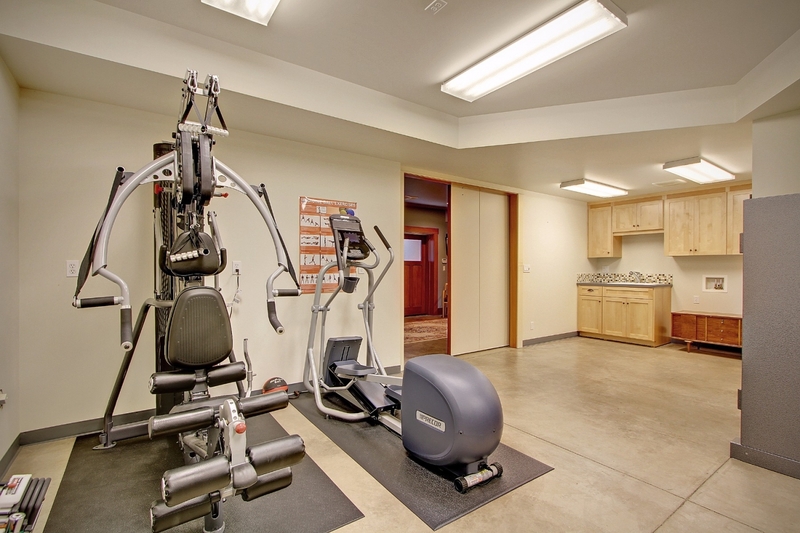 The lower level is perfect kayak storage, wine room and clean and tidy mechanical rooms. 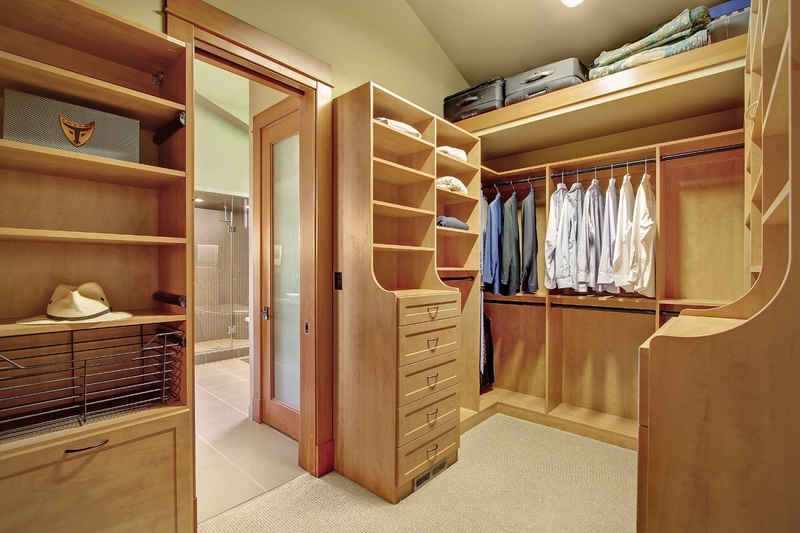 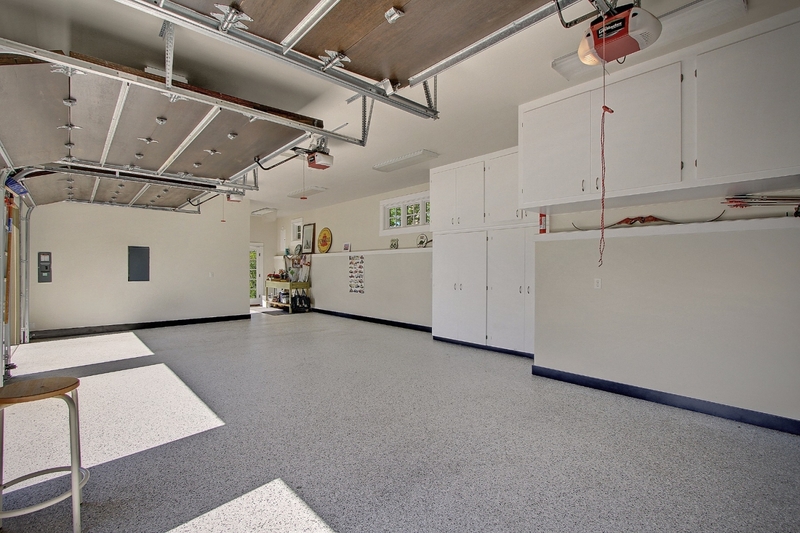 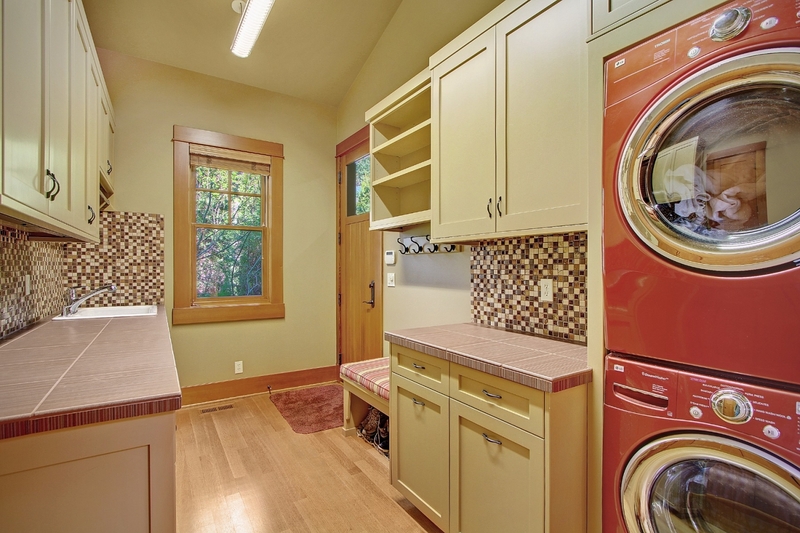 The storage room area opens to a convenient outdoor wash and shower area. 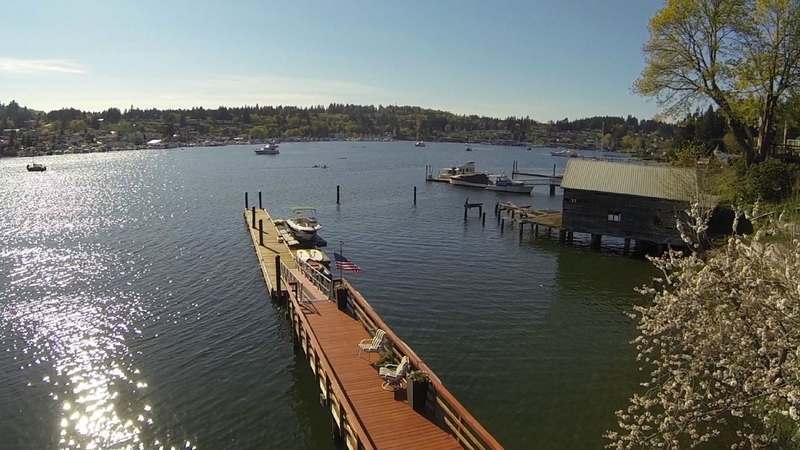 The dock is a newer dock by Marine Floats, a leader in area dock construction. 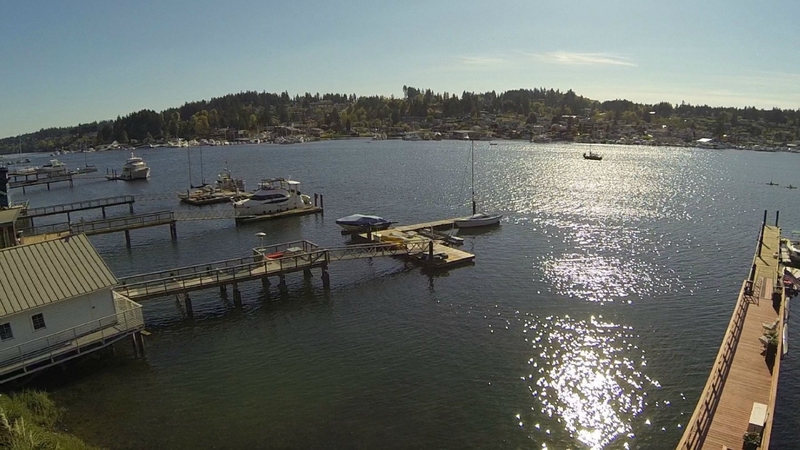 Deep water moorage allows for docking a large about 60-70' boat. 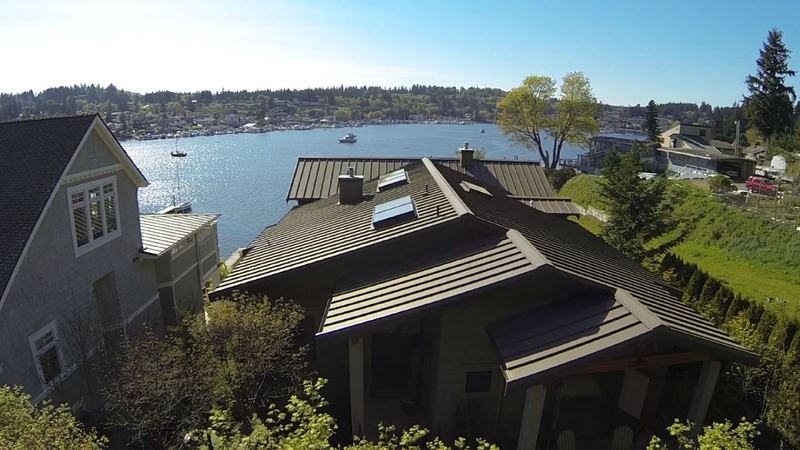 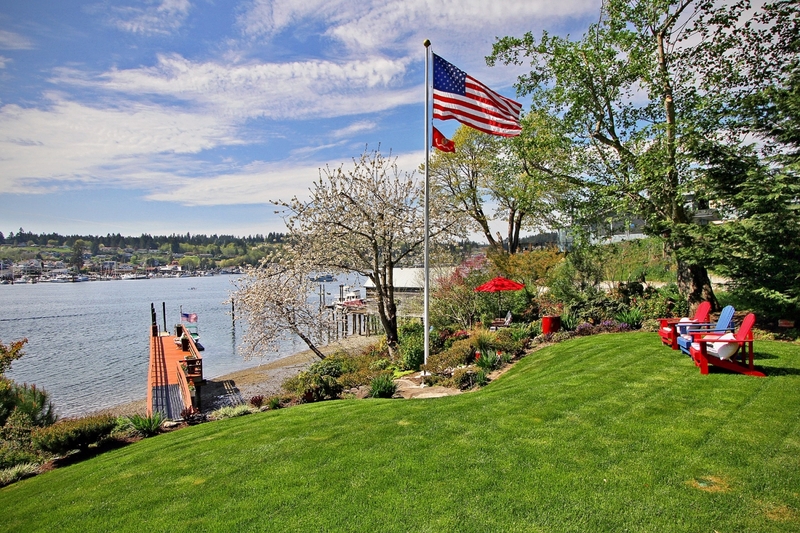 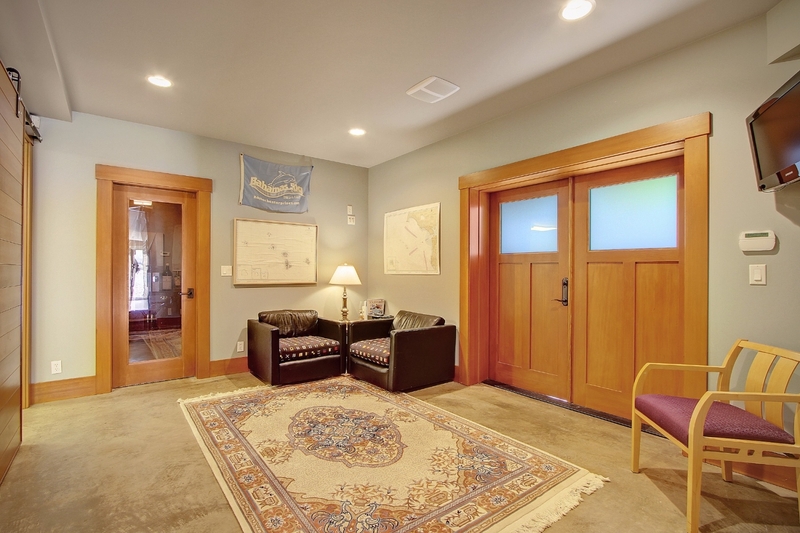 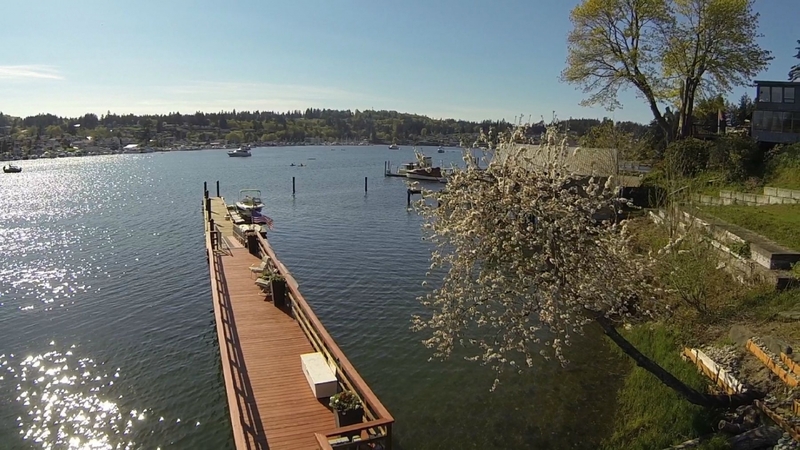 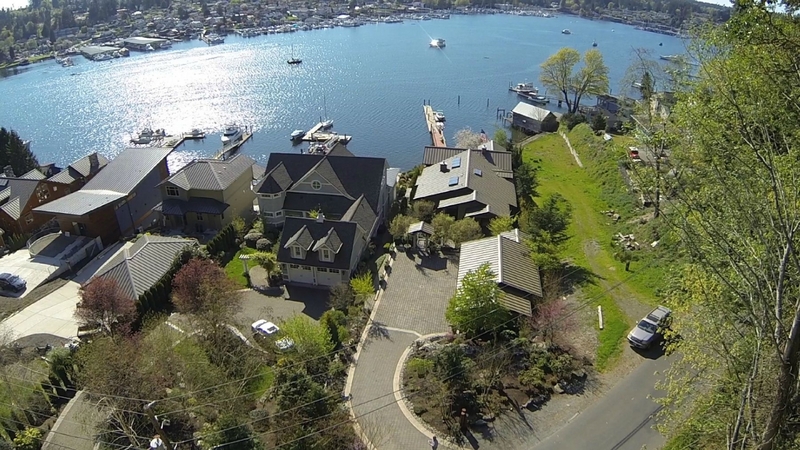 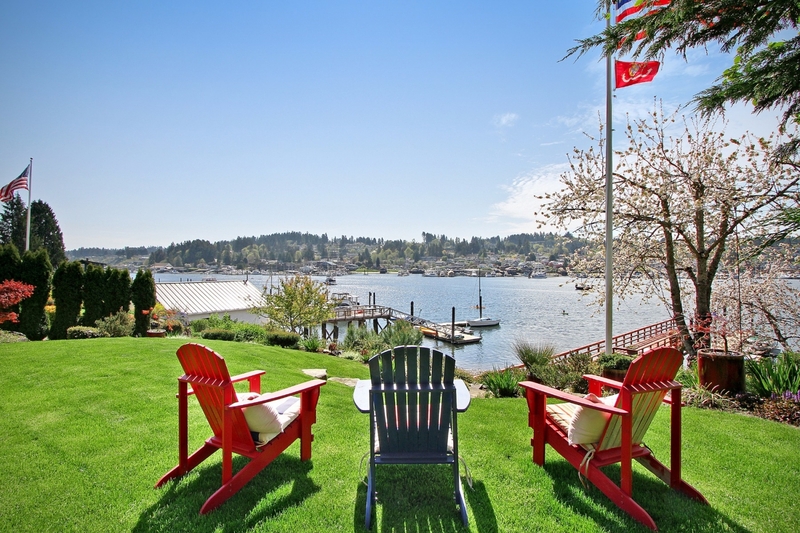 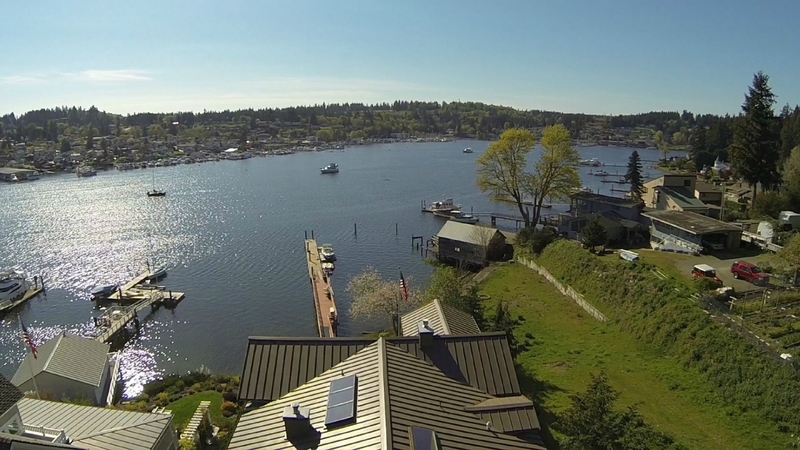 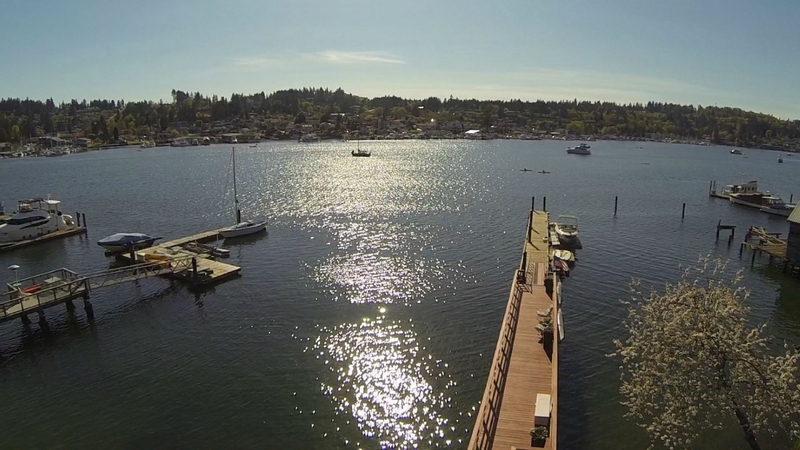 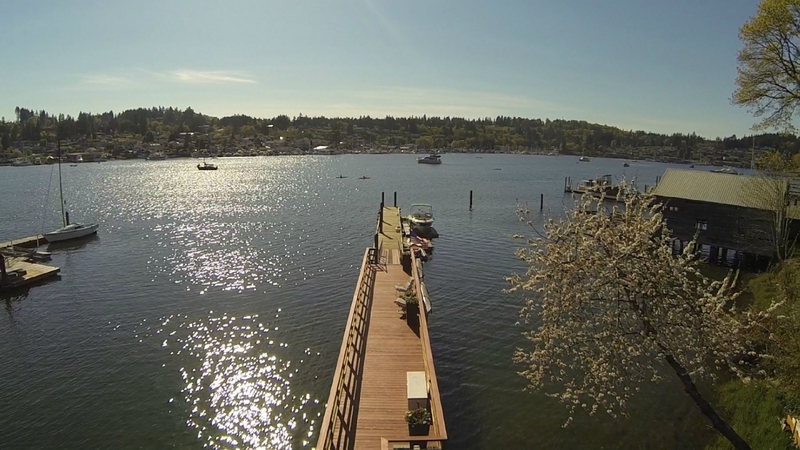 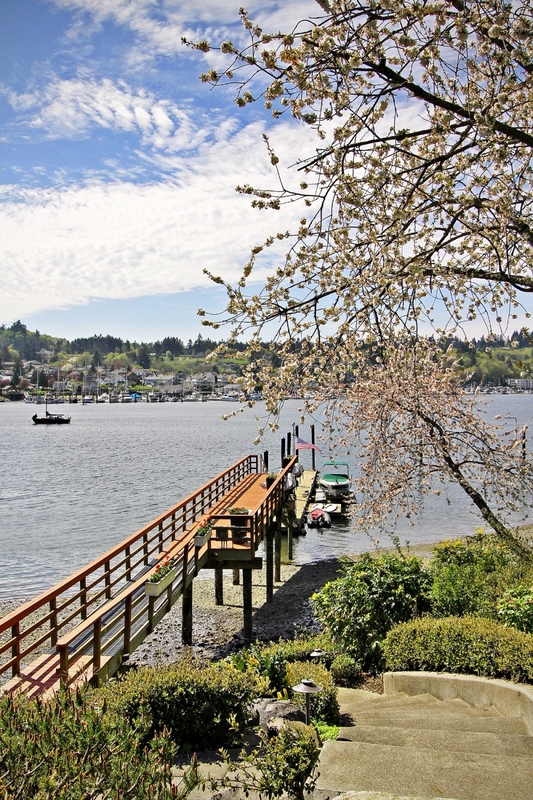 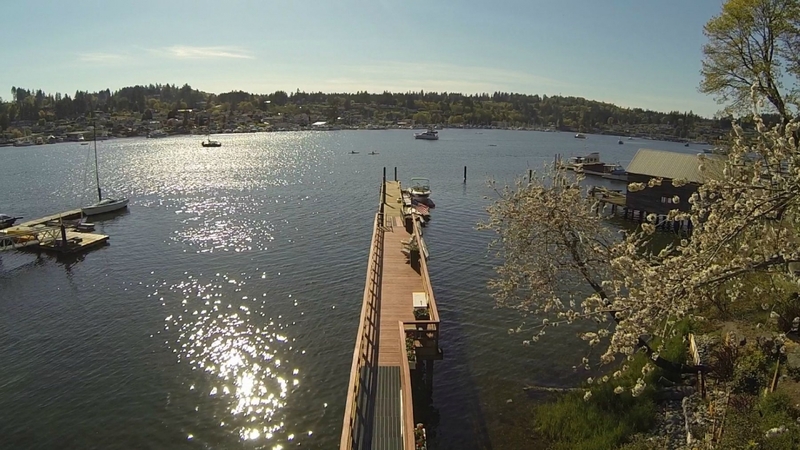 The harbor gives you the benefit of deep water moorage and in just seconds you are out on the Puget Sound. 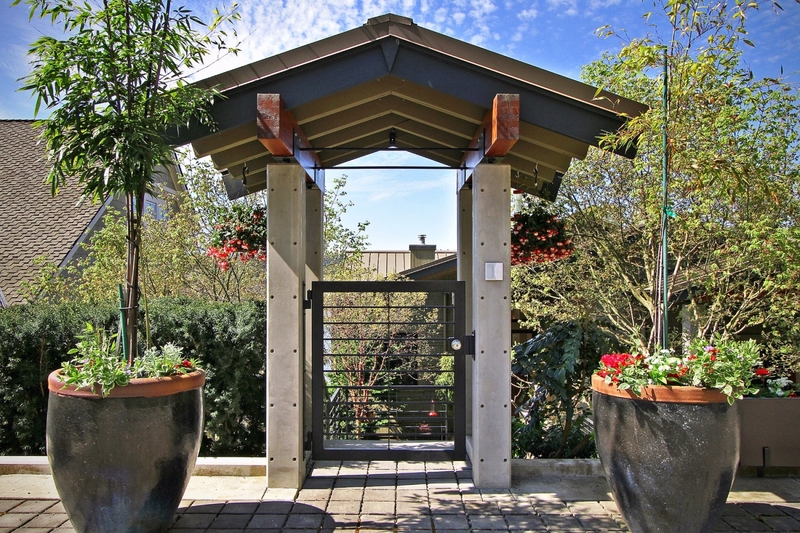 The city itself is charming with many local and world class amenities nearby. 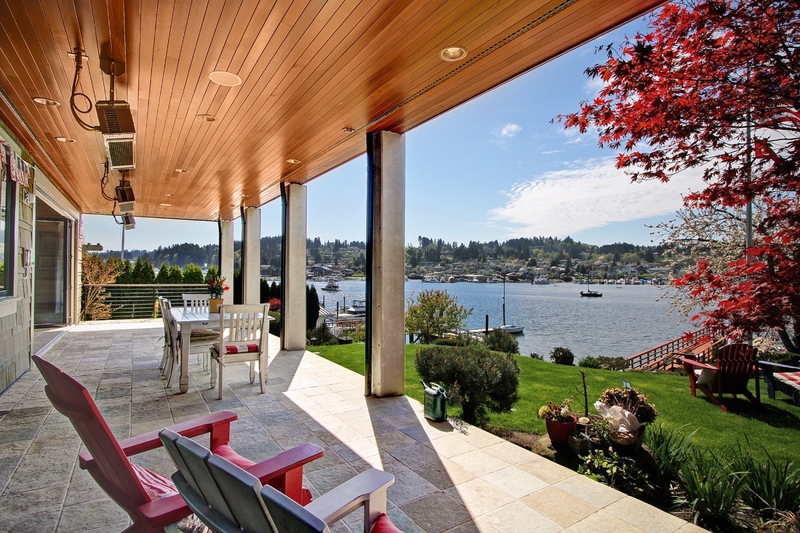 An active waterfront and downtown core provide the backdrop for this unique lifestyle. 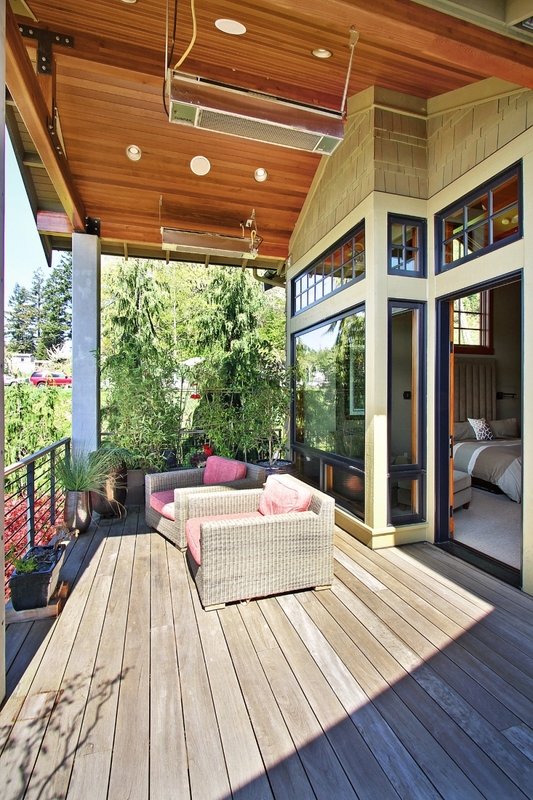 Festivals, concerts and parades provide the full package for your new home. 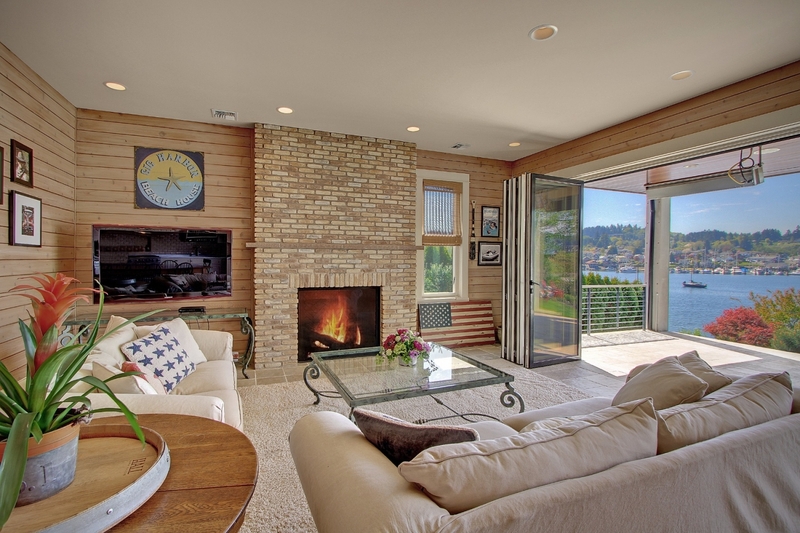 And with easy access to I-5, cities of Tacoma, University Place, Steilacoom and Seattle, you will have access to everything. 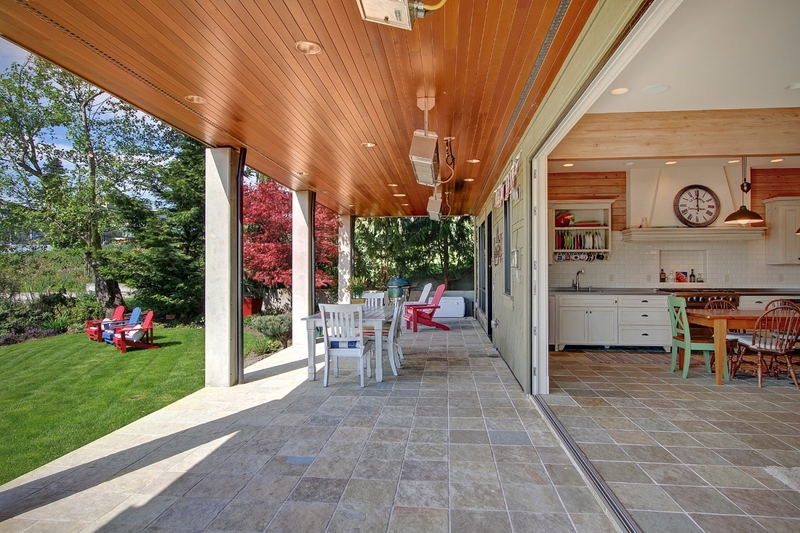 Lower level patio, folding glass wall, and overhead heaters.